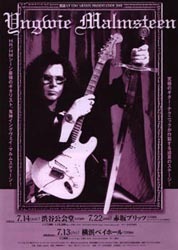 Description: 7x9 two color Yngwie Malmsteen 1984 day glow handbill. Description: 7x9 two color Yngwie Malmsteen 1984 Japanese concert handbill. 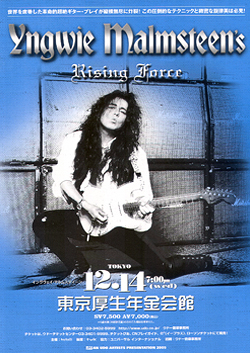 Description: 7x9 two color Yngwie Malmsteen 2001 Japanese concert handbill.